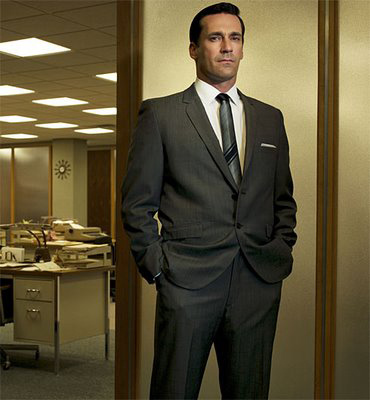 As ad exec Don Draper, Jon Hamm is a modern day style icon — even though the show is set in the 1960s. To help you rock the best of his classic vibe, award-winning costume designer Janie Bryant shares tips on how to dress like Draper without looking as if you just stepped out of your father’s closet. Find a good tailor and bring an armload of stuff from your closet. “Most men buy their suits and shirts too big,” says Bryant. “Have what you’re not wearing taken in to give it a new life.” Then, when you’re trying new items on, go for a smaller size than you normally would. You’ll end up looking leaner, and the suit will feel as if it was made especially for you. 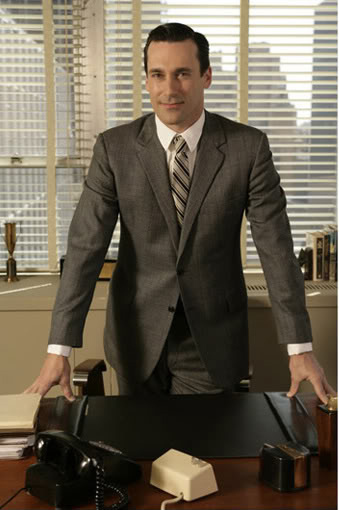 Once you’ve got Draper’s duds, you then need the attitude. “Use clothes to help you exude confidence,” says Bryant. When you own your look, everyone around you knows it. “The ’60s were all about rich browns, grays, and blues,” says Bryant. “Mixing those colors into your wardrobe doesn’t have to be difficult. You probably already have them in your closet now. You just need to bring them out.” Teal and mustard yellow also capture the feel of that era. 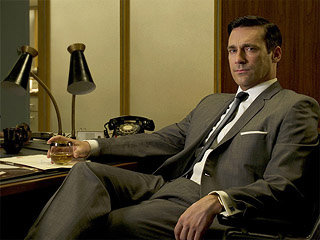 A good move: buy a skinny tie (about 2¼ inches wide) in one of those classic shades. 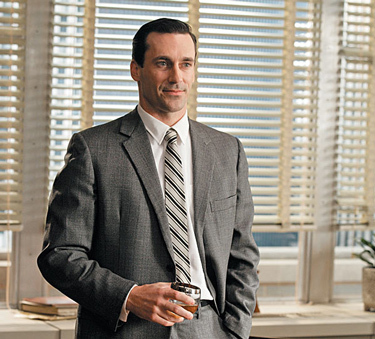 Accessories are key to pulling off the Mad Men aesthetic. 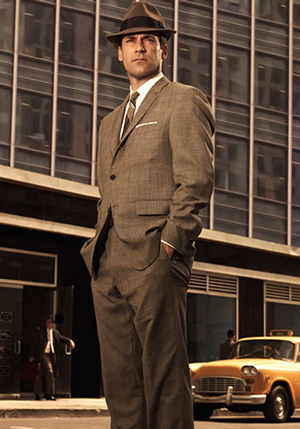 Hats, tie bars, pocket squares, and watches provide a way for men who wear suits everyday to show originality. The must-have accessory: a slick pair of cuff links.